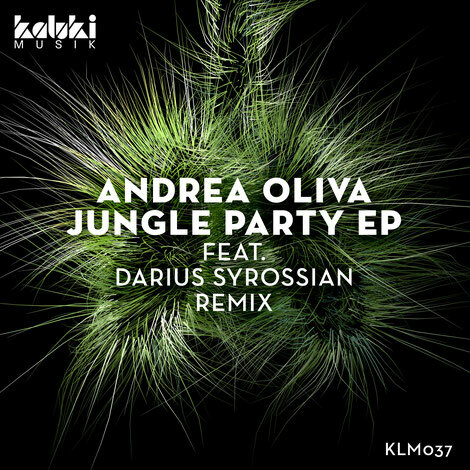 Early February will see Andrea Oliva deliver his ‘Jungle Party’ EP via Kaluki Musik, coming accompanied by a remix from Darius Syrossian. 2016 was a big year for the Swiss DJ/producer, with his releases for The Martinez Brother’s Cuttin’ Headz and Hot Since 82’s Knee Deep In Sound apparently finding their way to the top of the charts, as well as his regular slots headlining at ANTS. Here, he joins the roster of Kaluki Musik, who have been doing well with recent releases from Citizenn, Leftwing & Kody and label-head’s Pirate Copy. The original mix of title track ‘Jungle Party’ takes the lead with Oliva’s weighty rhythmic style laid out over seven and a half minutes with evolving, organic percussion, throbbing sub bass and stuttering vocal shots. Darius Syrossian’s strips things back to a rawer state with crunchy drums, flute licks and a snaking bass hook. ‘Right Now’ follows with a similarly upfront percussive drive, fusing bouncing toms and sharp hats with a classic hip-house vocal line before ‘Keep On Get It’ closes the package and sees Andrea explore a more stripped-back aesthetic with low-slung rhythms, filtered vocal swells and spiralling resonant synths.